A new report from the Organization for Economic Co-operation and Development (OECD), Education at a Glance 2017, looks at the state of education in the world within all 35 member countries and a number of partner countries. Not surprisingly, Denmark has the second most educated population in Scandinavia. And it pays off – according to the report the benefits of a university degree is high. Graduates are much more likely to get a job. They will earn 56% more than those without a university degree, and it is shown to even help their mental state as well. University graduates are less likely to suffer from depression. Parents own education level is an important factor which determines the child’s future level. If one or both of the parents have a degree, their child is more likely to get degree. 23 % of student chose to study business, administration and law, which are the most popular areas. However, if you want to be employed in the future, students should studying science, engineering, technology, and mathematics (STEM) subjects instead. 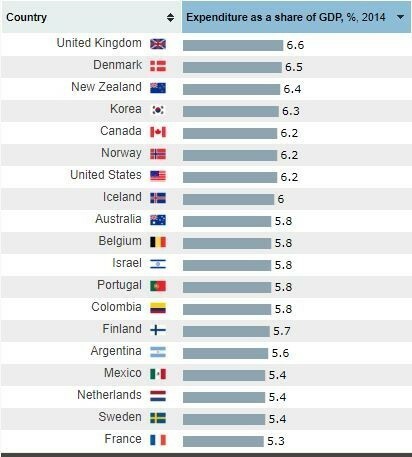 For the full report visit OECD.